Sculptural Jewelry - This is a stunning sterling silver ring beautifully handcrafted featuring a large exquisite round brown Smoky Topaz Quartz gemstone (15mm). Shanks are adjustable for easy sizing, but can come soldered if preferred. 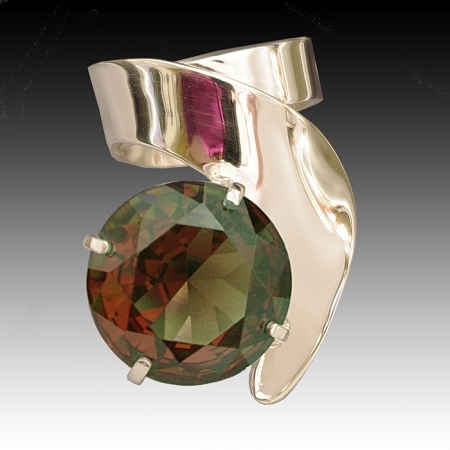 Sterling silver modern ring with a beautiful faceted smoky topaz. Size of finger is not a problem, since we custom make every ring. This beauty is signed by Aaron.